Proweb Review 2019: Is Proweb a Good Hosting? Ukraine-based Proweb offers web hosting plans with basic features. It lacks advanced tools that larger websites need and there is no auto-installer or website builder, making it less than ideal for beginners. Nevertheless, the hosting plans are low-cost for the resources they come with. Established in 2006, Proweb offers shared hosting, domain registration, and backup solutions. The web hosting solutions are great for small business hosting needs. 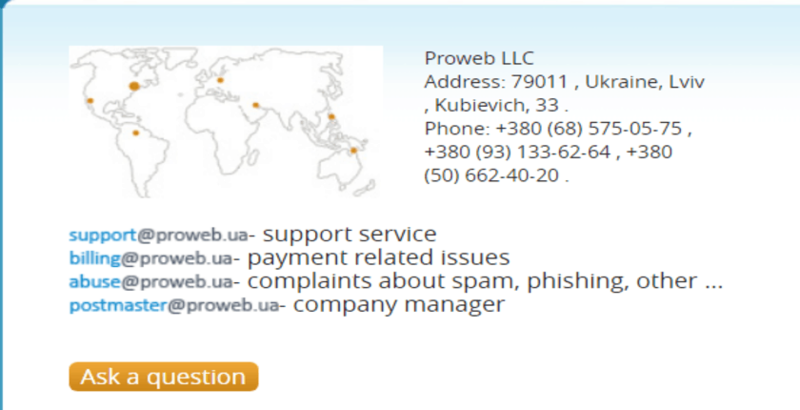 Proweb caters to those in Ukraine, Russia, and other CIS countries. One good part of the service is hosting performance. It uses powerful Xeon processors with SSD, which help with better website load times. Of course, your content will play a part in how fast your website loads, but SSD also helps. A good load time improves user experience and ranking as page speed is a significant factor for Google. If you’re looking to host content management systems like WordPress and Joomla!, you’ll enjoy Proweb. Both CMSes are mentioned specifically and the server provides support for them. Aside from the above mentioned, you can use PHP to program your pages, and there’s MySQL support, where you can go from three databases on the base plan to unlimited on the top plan. Support is also available for Perl, Python, Curl, and CGI. However, there’s no website builder or auto-installer. If you’re a total beginner to hosting and website development, you’d be better served elsewhere. All of the plans come with unlimited traffic. The difference in the plans is the storage space, the number of websites you can host, and MySQL databases. The lowest-tier plan comes with 1GB SSD, two websites, and three MySQL databases, which is sufficient for basic hosting needs. Those needing more can go for any of the higher plans that are topped at 20GB SSD, 50 websites, and unlimited MySQL databases. Looking at the ample space, databases, and websites allowed on each plan, they seem to be a solid choice. However, there is no free domain name, or SSL certificate. That said, for what’s offered, it’s a low-cost and pocket-friendly option. In addition, you get a 10-day trial period. Do note that domain registration will have to be purchased separately and the money back guarantee is restricted to the number of days you haven’t used on your hosting. The customer support team is only available via email and phone, which is restricting as there’s no live chat and you might not get a fast response via their available channels. Also, the knowledge base is limited to a few domain-related topics and not much for web hosting. Proweb is a good option if you are in a CIS country and have either the technical skills or resources to hire a programmer. There’s no support for beginners, and they don’t have advanced tools or server options like VPS that large businesses may need. Wondering how Proweb stacks up against other Web Hosting companies? Enter any other Web Hosting company and we will give you a side-by-side comparison.